Wells Next the Sea in Norfolk is still the place to go for a traditional English countryside vacation (or rather holiday, in Britspeak). This wonderful hand-colored card from Valentine & Sons, Ltd (Dundee and London) certainly shows the peace and tranquility of the putting green, and is perhaps a hundred years old. Valentine and Sons of Dundee was Scotland’s most successful commercial photographer. In the early 1900s, at the height of the postcard revolution, they published photographs showing scenes from around the world. 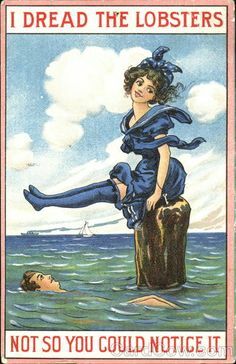 Often regarded as only postcard publishers, Valentines produced images in various formats including fine early photographic prints. The company was founded in Dundee by James’s father, John Valentine, in 1825. After learning the daguerreotype process in Paris in the late 1840s, in 1851 James added portrait photography to the family business. By the 1860s the company had begun to cater to the growing tourist industry by producing photographic prints with views from around the country. After James’s death in 1880, his son William Dobson took over the ever-expanding business. 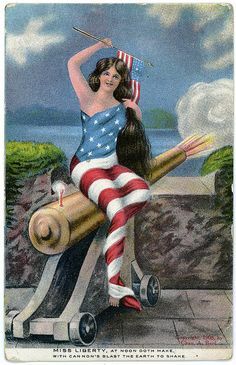 Valentine & Sons first printed postcards in 1898. Canadian production began between 1903 and 1906 with offices established first in Montreal and then Toronto. The earliest Canadian postcards published by Valentine and Sons were monotone black, collotype views showing the scenery along the main line of the Canadian Pacific Railway north of Lake Superior and in the Rocky Mountains. Gradually, the greeting card gradually replaced the picture postcard and what remained of the Valentine & Sons card making empire was sold to Hallmark Cards Inc. in 1980. Did the extra ink of more than five words add significantly to the weight? Or is it just that English postmen were unable to sort the address from a lengthy message, despite the divided back? Perhaps the extra postage is to offset the lost revenue of the time the postmen spend reading long messages. 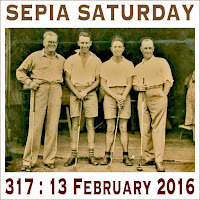 Over at Sepia Saturday, it’s been pointed out, rightfully so, that it’s no sacrifice to combine your love of sport with your one true love. Pay them a visit, and give them a sporting chance. Very interesting about Valentine and Son’s having published a postcard about golf! Great that you have the history of the company also. Good job! Classic British golf courses look very primitive compared to the over-fertilized verdant greenery of modern courses. The communication side of the postcard does seem a bit excessive. Did someone in the post office have to count words on every card? As I understand the early pricing, “postals” were cheaper than letters as they were intended only for greetings. Filling up a postcard with a long message more appropriate to a letter was considered cheating the Royal Mail of a penny. Mike’s comment about cheating by writing a long message on a postcard is interesting. What could you possibly convey in five words?No woman could do it – that’s for sure. Geez, did they really have someone sitting at the PO counting words on the back of a card? I know we Scots have a reputation of penny pinching but geez!